A new Bangor business hopes to welcome an array of crafters, makers, artisans, bakers, farmers and other producers into a market space, located in the Hogan Road shopping center that formerly housed a big box retailer. 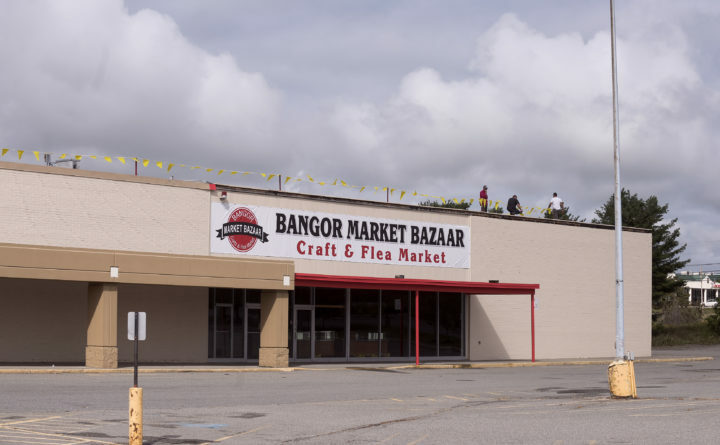 The Bangor Market Bazaar is set to open sometime in October at 688 Hogan Road, in the retail space adjacent to the location of the former Bangor Kmart, which closed in April 2017. That same month, the Quirk family, owners of Quirk Auto Group, purchased the property for an undisclosed sum via its QV Realty Group real estate company. Last year, the Quirks enlisted Norman Braveman, a longtime employee, to develop the Bangor Market Bazaar, which they envision as a step up from the typical flea market or craft fair. The Bazaar will be open in the space previously occupied by the Hands of Hope Thrift Store. The Bazaar will be open only on Sundays to start, but will expand to the whole weekend for the holiday shopping season. Braveman has already secured a number of booth rentals, but will be accepting new vendors until the space is full. Braveman said there is room for at least 100 vendors, with booth sizes ranging from a simple display case to double-sized booths, with booth rental fees priced accordingly. Braveman also said that vendors won’t have to set up and tear down each weekend, and can leave their products over the week if they wish. Though the indoor bazaar-style market isn’t common in Maine, it’s an increasingly common sight in the southern U.S. — especially in large, empty retail spaces. In the Bangor area, a number of large stores have closed in the past few years, including Kmart, Macy’s, Sears and others. To inquire about booth space, call 207-691-0008, or visit the Bangor Market Bazaar Facebook page.